LG’s next flagship is here and it’s a beauty. The LG G7 ThinQ doesn’t stray too far away from its predecessors. Our own Joshua Vergara says it looks like a cross between the LG G6 and the LG V30. With improvements on an already impressive camera and a new focus on AI and Google Assistant, this phone stands to be a powerhouse in 2018 — notch and all. While it’s not for sale just yet, once it you can buy it you’ll want to protect your investment — this is a flagship after all. To that end, we have put together a list of the best LG G7 cases you can buy today. Check them out down below. Spigen is still one of the top makers of study phone cases, and the Tough Armor model it has made for the LG G7 ThinQ is an excellent example of one of its products. The case uses the company’s Air Cushion design so that the phone can survive small falls and drops with little to no problems. It supports MIL-STD 810G-516.6 ratings for those kinds of issues. It also allows the phone to be charged wirelessly through the cover. Finally it has an embedded kickstand for times when you want to watch a video hands-free. You can get the case for $15.99 in black or $16.99 in gunmetal. 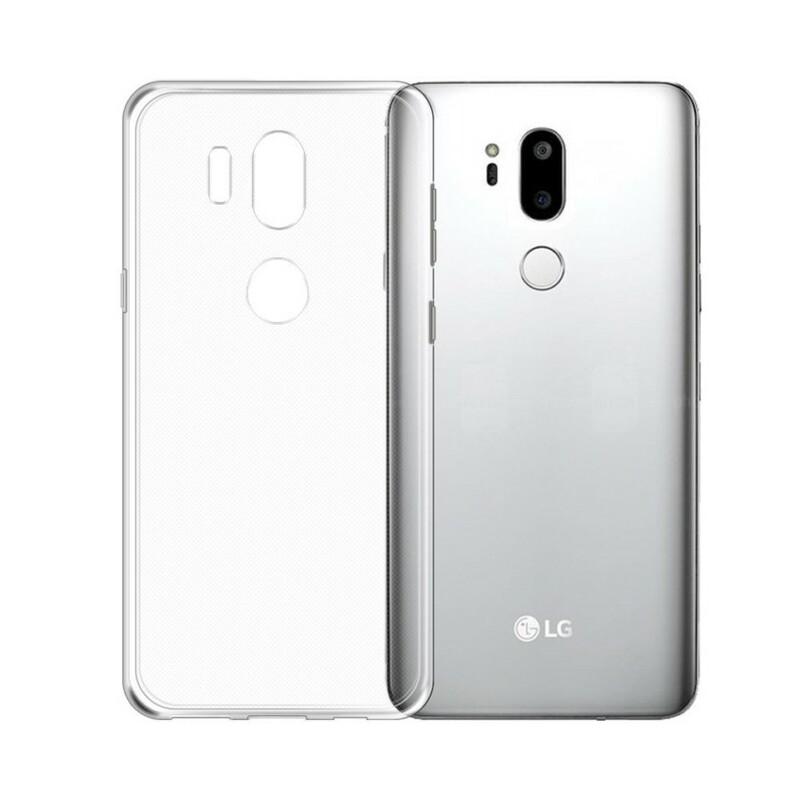 Another one of the Spigen cases for the LG G7 ThinQ offers the best mix of protection and slim design. The Rugged Armor case model is a flexible TPU case with an interior spider-web pattern, along with a raised lip to protect the phone’s screen. It also uses an Air Cushion design to protect it from falls, yet is still slim enough that it won’t bulk the phone up. You can get this case now for $11.99. Otterbox is one of the most well known phone case companies around, and it has just launched its tough Defender case model for the LG G7 ThinQ. It includes a two piece durable inner polycarbonate layer and an outer silicone layer for high protection. It also comes with a clip on the back in case you need to place the phone on your belt or holster. All that protection comes as a price as the Otterbox Defender case is priced currently at $49.95 on Amazon. Clear cases are one of our favorite ways to protect a phone. They provide the protection a phone needs, while letting you enjoy the design that went into your phone. TopACE has an offering that does just that. This clear TPU case has precise cutouts on the back for the camera, flash, and fingerprint sensor. Plus, the soft TPU provides excellent grip to avoid those drops in the first place. The dot pattern on the inside of the case is designed to help prevent smudges and fingerprints as well. Suensan also has a nice clear case which provides a bit more protection, with a little more bulk. This case sports reinforced corners and a raised bezel which protects the phone from corner drops and face first drops. Also, this case has a hard polycarbonate back plate for impact resistance, too. The polycarbonate grabs more fingerprints, but it’s hard to argue with the protection it affords. CoverOn has a great TPU option to keep your phone safe. This shiny black TPU cover (also available in clear) will keep your phone safe from scrapes and falls. The case features corner reinforcements to protect the most vulnerable parts of the phone. The side rails of the case have an enhanced grip feature, with a raised and textured side for a secure grip. All this comes in a fairly slim package which doesn’t add a lot of bulk to your phone — less than one ounce, in fact. This case offers the added benefit of a raised bezel on the front to protect your phone’s screen. The back has a dual textured finish with a brushed metal and carbon fiber look. The corners are reinforced for those dangerous drops on the corner of the phone. All this comes in a nice slim package that doesn’t add a lot of bulk to your phone, nor does it add a lot of weight. It’s a good balance of protection and convenience. VRS has a solid offering to protect your phone. This slim armor phone case is made from TPU rubber, with grooved pattern on the back for extra grip. That grippy texture continues around to the sides where you’ll find more of that grip in between the buttons on the side. A deep bezel on the back makes the fingerprint sensor easy to find and use. Plus, a raised bezel on the front protects from face-first drops. The soft TPU is easy to put on and remove. The Aeska heavy duty case is for those who are seeking a bit more protection for your phone. This is a dual-layer case with a soft TPU liner and a hard polycarbonate exterior. The top and bottom of the case have a great looking carbon fiber texture. Moreover, the corners of this case are reinforced to help protect this phone in the event of a corner fall. Despite the extra protection, the case is still slim, too. Wallet cases are a great way to cover your phone, since bring a lot of functionality. It covers the front and back of your phone with a flip cover. This particular case has an embedded layer of steel, providing a ton of protection for your phone. There is a single card slot on the inside of the cover, perfect for an ID or credit card. Plus, the case itself acts as a kickstand for hands-free media viewing. This case from J&D checks a lot of boxes in the protection and security department. The synthetic PU Leather wallet includes RFID blocking technology to protect your ID and credit cards from identity thieves. We don’t generally see this kind of tech built into wallet cases, so this is a nice addition. Also, this leather wallet protects all sides of your phone, including the front, and has a magnetic clasp to ensure your phone stays safe within the LG G7 case. An optional wrist strap also protects against accidental drops. Finally, we have a nice wallet case from Arae. This case is made from PU leather and features an incredible four card slots on the inside, with an ID window and a separate cash pouch. This case will completely replace your wallet. One of the reasons we love wallet cases is how they cut down what you need to carry with you. If you’re going to keep your phone with you, why not eliminate an item from another pocket or your bag? The magnetic closure keeps your phone and cards secure while out on the go, and of course, the LG G7 case also acts as a kickstand for hands-free viewing. That’s going to wrap it up for our look at the best LG G7 cases. Which one is your favorite? Hit us up in the comments down below and let us know. Are there any other LG G7 cases we should look at? This article will be updated as more options come out, so stay tuned!